I have been incognito on the blog because I’ve been hard at work on my latest picture book proposal. I’m happy to write that I recently completed the final piece of our submission package. 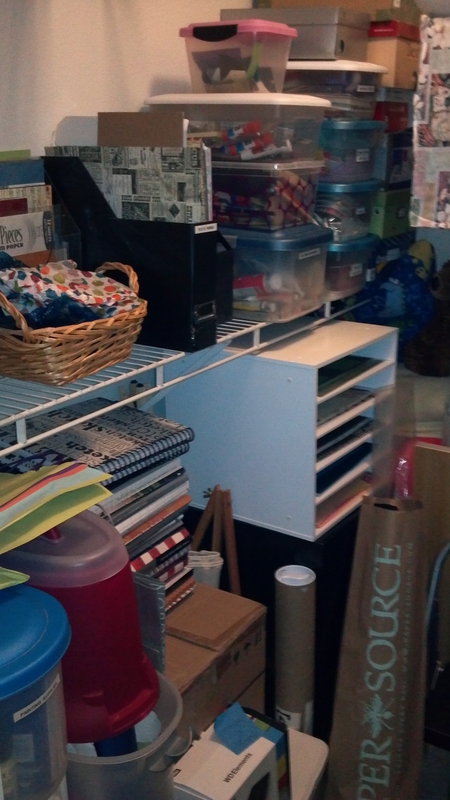 Here is what my workspace looked like after I finished. Whew! I tend to get swept up in a project, so I don’t realize how crazy everything looks until it’s over. Thankfully, I’m married to a super swell guy who understands me and my process. We live in a one-bedroom apartment, so I store my paper and other supplies in the bedroom closet. Whenever I want to make a collage, I lug everything out and set up in that little corner of our living room. Then I sit on the carpet and trace, cut, assemble, and paste until the illustration looks the way I want it to. Despite its appearance, my “studio” meets my needs. There are three sources of light (the patio window, a lamp, and our fireplace fixture) which allow me to see what I’m doing. I have an outlet for my lightbox. My picture books are just a shelf away. And the television is within earshot, so I can listen to a movie or show while I work. Some time ago, Joda (the cat peering out the window) learned how to navigate the mess without stepping on anything. 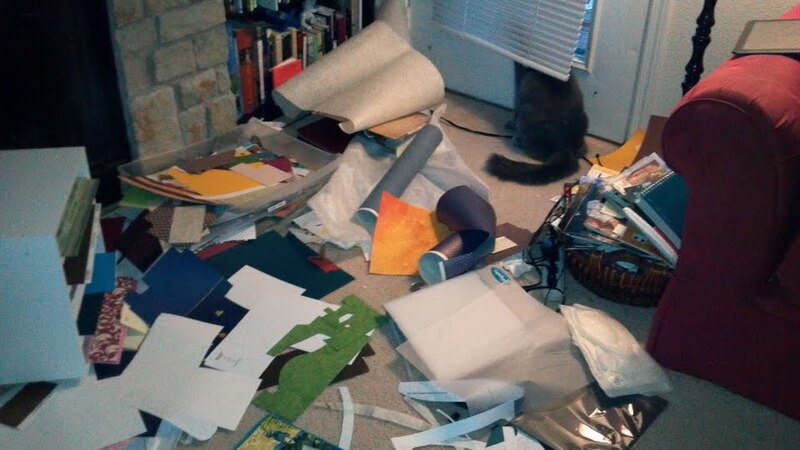 Jack, our other cat, prefers to play Godzilla, chew up paper scraps, and steal my smaller tools. So he usually gets banished to the other side of the apartment. One day, I would love to have a formal studio like the Steads’ or Cece Bell’s. But, all in all, this workspace gets the job done. Where do you write and/or illustrate?